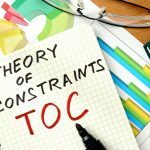 By effectively applying the theory of constraints (TOC), you can optimize a process and push it towards its limits without actually violating any of those limits. That way, you can get much more out of each iteration of that process, and your overall operation will run more smoothly and efficiently. There are many areas where TOC is seeing active use nowadays, and retail is one of the more prominent ones for various reasons. Keeping shelves stocked and the store supplied as a whole is a challenging task, and one that often runs on tight deadlines and other limiting constraints. 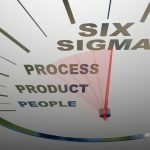 And yet, once you dig deep beneath the surface of the supply chain management of most retail stores, you end up uncovering some frightening patterns. 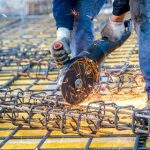 It’s not rare to realize that those constraints are far from pushed to their limits, and in some cases the supplying process may actually be severely behind the line in terms of utilizing its potential. Of course, improving your supply chain operations doesn’t mean much if your storage facilities can’t handle the extra load as well. 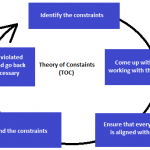 There is a fine balance that has to be observed, but thankfully the theory of constraints can be just as useful in those areas as well. The important thing is that you don’t leave any part of your business untouched when applying TOC, as it can actually help create an imbalance if you only apply it to one part of your retail shop. If this is a problem for you, you may want to take a careful look at the way you’re handling the operation of your storage facilities. Sometimes you’ll discover that there are some constraints that can be pushed in that area as well, and these can sometimes even lead to more significant improvements in your overall productivity. Another common problem in the retail world are constant schedule conflicts and issues with the timing of employees. 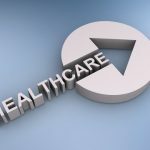 This often boils down to the fact that schedules are not actually utilized as fully as they could be, and a lot of time is wasted on procedures that can either be grouped together or ultimately avoided completely. By pushing some constraints, you can ensure that your workers not only utilize the time they spend at work much more efficiently, but also that they have more time for themselves, because schedules are organized in a more appropriate way. This will lead to increased productivity across the board, as well as increased employee satisfaction which can ultimately play towards the same final result. Keep in mind that TOC can sometimes drive you towards making changes that are not actually that optimal for everyone, and you’ll need to keep every employee’s current scheduling situation into consideration when you’re about to push some constraints. Otherwise, you might find out that you’ve pushed something too far and it makes things uncomfortable for one or more employees. In the retail world, this can be disastrous as it can lead to an issue that quickly compounds and keeps getting worse and worse over time. 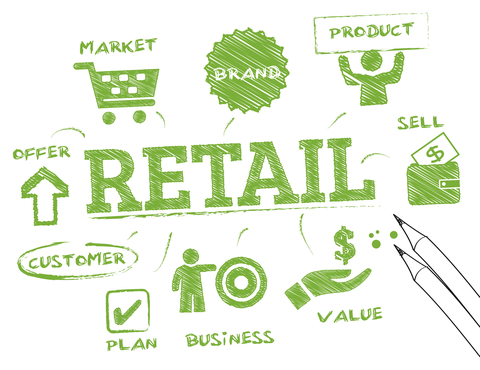 The theory of constraints has a very important place in the retail world, and it can open the doors to many improvements in the operation of a typical retail store. However, it has to be applied in a careful, controlled manner that takes some factors into consideration, most importantly the balance between the work of different departments like supply and storage. As long as you go about it in a coordinated manner that takes everything into account, you should end up with good results.